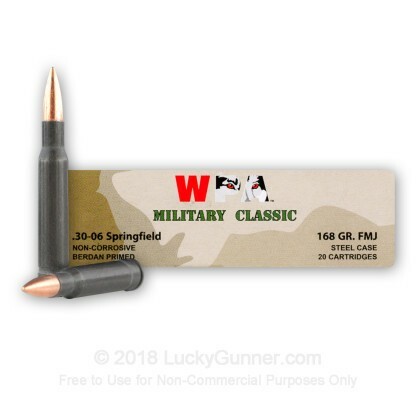 This 500 round case of Wolf ammunition is one of the best deals around for avid .30-06 Springfield shooters. These cartridges use polymer-coated steel cases that deliver reliable cycling but are not reloadable. They are made in Russia at an unbeatable price thanks to that country's abundant iron ore deposits. 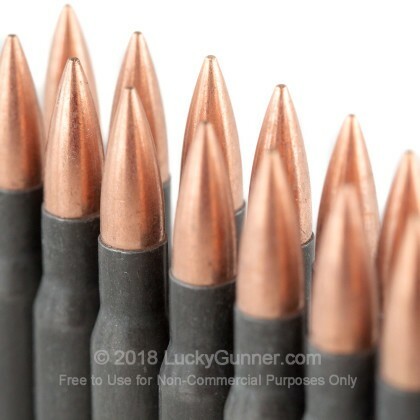 These rounds fire a 168 grain full metal jacket bullet and produce typical .30-06 ballistics. 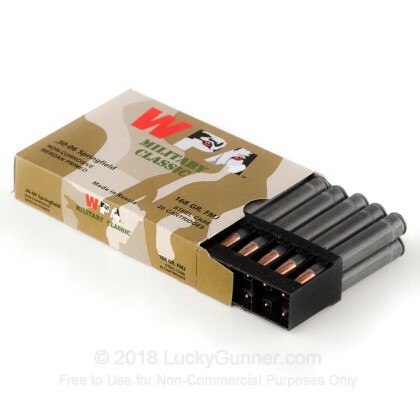 They are designed for range use only and should not be used for hunting due to their inability to expand. Like most new Russian-made ammo, these cartridges use non-corrosive Berdan primers. 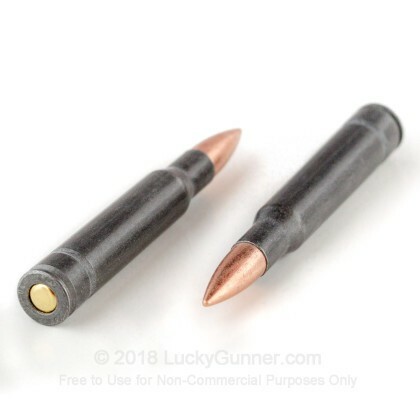 These inexpensive, reliable primers are typically used with steel cases because their main downside (being difficult to remove from spent casings) is not a factor. I put this, plus Remmington ammo in the same magazine. Couldn't tell the difference. Since I don't hunt, and only target shoot, this makes the exact same hole in a piece of paper. Will definitely buy again. 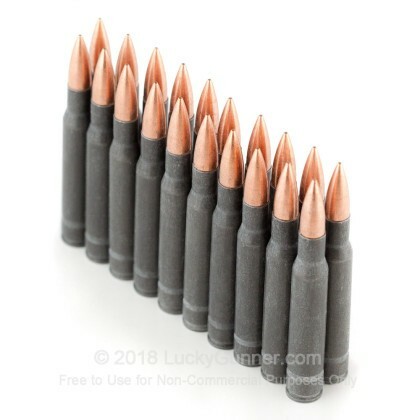 A: These rounds are made with a steel case, lead core and a bi-metal jacket. They will attract a magnet. 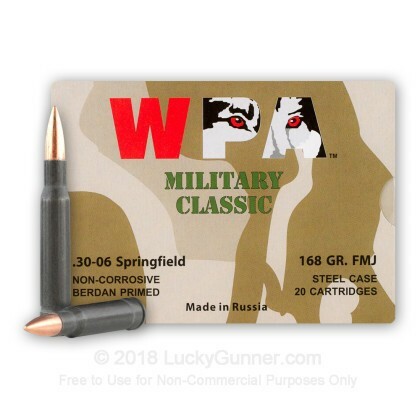 We also have this 30-06 - 168 Grain FMJ - WPA Military Classic - 20 Rounds ammo in stock in a smaller quantity.